Sarosky Heating & Air Conditioning Inc is proud to serve the Center Valley community! 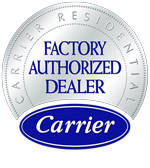 About Center Valley, PA - Happy to be your hometown Heating & Air Conditioning Contractor! Center Valley is an unincorporated village located within the Upper Saucon Township in Pennsylvania’s Lehigh County. The area was originally settled in the mid-18th century by German, English and Welsh immigrants who farmed the land, and Center Valley itself became an important hub for exporting local agricultural products with the construction of the Center Valley Station by the North Pennsylvania Railroad in 1856. At one point the community was known as “Milk Town”, as some two and one half million gallons of milk were being shipped through the depot to Philadelphia every year. The other local industry of importance was zinc mining, which began in the 1840s. 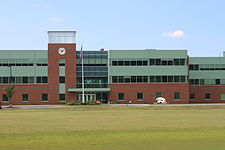 Today Center Valley is home to the Lehigh Valley campus of Penn State University, as well as to the main campus of DeSales University and to Strayer University’s Allentown campus. The Promenade Shops at Saucon Valley bring shopping, dining and entertainment to the area, featuring shops such as Aeropostale, Banana Republic and Brooks Brothers, a 16-screen movie theater, and dining options including a Thai restaurant, an Italian restaurant and a classic American steakhouse. Center Valley can even boast a premier 18-hole public golf course, the Geoffrey-Cornish-designed Center Valley Club. Center Valley winters tend to be on the chilly side from December through March, but rarely dip below 20 at night and get up close to 40 most days. Snowfall peaks in early February, averaging around nine inches, and summers tend to be somewhat cloudy but very mild and pleasant overall.